If you have been offering ordinary service to your customers, do not expect your business to soar to the top. However, if you want to be a renowned restaurant at the top of its game, you should consider using restaurant consulting firms. These professionals come equipped with a wealth of knowledge and experience to help you up your game. They will share knowledge on how to enhance various aspects of your business including the restaurant kitchen design. If you own a restaurant, chances are that there are things that keep you up late at night. One of the most important aspects of managing a restaurant is ensuring that your customers are happy. You want to ensure that they are happy about the quality of food you serve as well as the level of service they get. However, you want to ensure that you get the food safety right. Here are some signs that you may be in need of restaurant consultant services. Maybe you have been in the restaurant business for many years. However, you have recently decided to take your restaurant in a new direction. This could be anything from changing the cuisine to changing your target demographic. Whatever it may be, you want to ensure that you get it right. Running a good restaurant requires that you create great dishes. However, that is only half of it. You also need to have good business skills to help you turn a profit. This may be hard to achieve if you do not have the right consultant by your side. While you could go into it alone, you should know that thousands of restaurants collapse each year. In some cases, these restaurants may have been serving great food. However, the business side of things proves too challenging. Hiring restaurant consulting firms is especially important when you are spreading to new markets. It makes sense that the business environment in Texas might be quite different to the one in New York. A good consultant will help you understand the local neighborhood. This way you do not end up making costly blunders such as in the restaurant kitchen design. You may end up purchasing expensive equipment for your kitchen that you may never use. One of the clearest signs that you require restaurant consulting firms is if you find that you are not making any money from your work. While you may think that this is the time to cut costs, hiring a consultant is not wasting money. The firm will bring a fresh perspective to your business. You will be able to see the problems you are facing with a new set of eyes. In some cases, this is all it takes to change your fortunes. Experience is a characteristic of consultants that you can exploit to your benefit. It is especially so if you are new to the restaurant industry. Consulting firms hire experienced consultants who have years of experience in the industry. They will provide you access to these consultants, who are obliged to share this experience with you. By doing so, they can help you avoid potential major blunders, which have caused others before you to close up their businesses. In their consultancy work, these firms come upon a lot of knowledge in the industry. They are able to know about these changes before most restaurant owners. This is because their work covers a large geographical area. If you decide to utilize the services of these firms, you will also be able to follow up on the latest trends in the sector. As a result, you will be able to adapt quickly and stay ahead of the competition. PR is one of the most crucial aspects of running a restaurant. Sometimes, it is not what you serve but how people perceive your business. If you work with a consulting firm, you will also benefit from their close working relationship with media houses. They also understand how to navigate through dicey situations. This way, you will be able to have a positive image for your restaurant, which is crucial to its success. Coming up with a menu can be quite difficult. A consulting firm will offer you useful advice on how to come up with a menu for your business. The reason for this is that they have a close eye on the industry. Thus, they know the dishes that are likely to sell. They also know the ones, which are likely to be a waste of money. This will help you save cents, which snowball into big profits over time. Your staff is an integral part of your success. Thus, you need to get the employee hiring the first time. Most consulting companies will also assist you in your quest to get the best workers by your side. In some cases, you have had a successful run and would now like to expand to a new town or neighborhood. Managing one restaurant will take more effort than managing more than one restaurant. You will want to ensure that you have the right structures in place to deal with this expansion. If you do not have the tools to deal with the problems associated with expansion, your business could collapse. This is where a consulting firm can prove to be a real savior. Training employees can be quite expensive, but it is also crucial. For instance, you need to ensure that your employees are trained in food safety. A good consultant will ensure that your employees receive all the skills, which they require to carry out their jobs effectively. 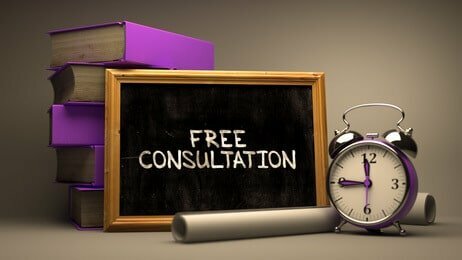 If you have a restaurant that seems to have plateaued, it may be time to call a consultancy firm. Their scope of work is not limited but includes everything involved in running restaurants. Get in touch with one today and see your luck change for the better.